The Greatest Show on Earth will soon be without elephants. Ringling Bros. announced Thursday it will gradually reduce the use of elephants in its shows, and all will be retired by 2018. It's the end of an era for the animal that Ringling calls "a lifelong symbol" of its circus. Elephants have for years played prominently in the circus' shows and its advertising. They triumphantly enter the ring, then perform a synchronized dance routine. But Ringling Bros.' treatment of the pachyderms has also come under scrutiny. It has been repeatedly criticized, picketed and even sued by several animal rights groups, including the American Society for the Prevention of Cruelty to Animals and the Humane Society of the United States. 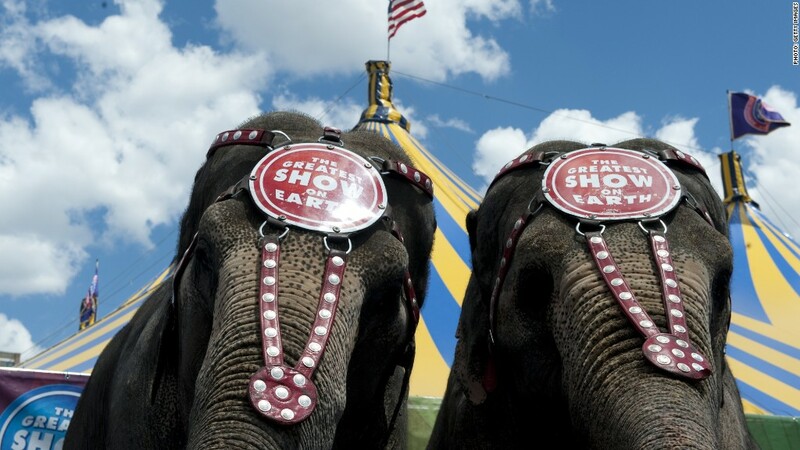 In 2011, the circus was fined $270,000 by the USDA for violations of the Animal Welfare Act. The People for the Ethical Treatment of Animals applauded the announcement, but said the elephants should be retired immediately. "(I)f Ringling is telling the truth about ending this horror, then it's a day to pop the champagne corks and rejoice," PETA founder Ingrid E. Newkirk said. 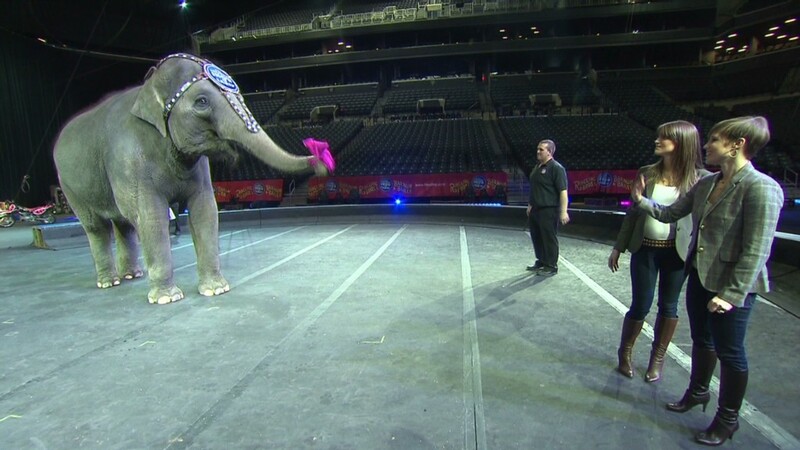 Ringling Bros. said it currently has 13 elephants traveling for its shows. About 40 are at its 200-acre Center for Elephant Conservation in Florida, created in 1995 by Ringling as a facility for the care and study of Asian elephants, the variety it uses in shows and an endangered species. That amounts to "the largest sustainable population of captive Asian elephants in the Western Hemisphere," the conservation center said. 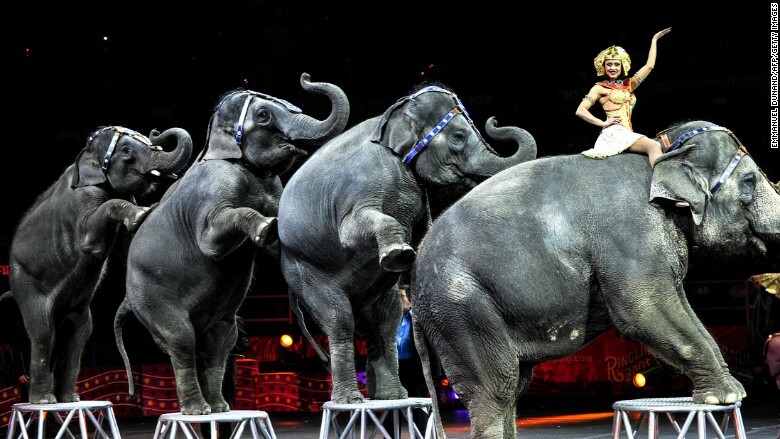 "No other institution has done or is doing more to save this species from extinction, and that is something of which I and my family are extremely proud," said Kenneth Feld, the chairman and CEO of Ringling Bros.
"This decision was not easy, but it is in the best interest of our company, our elephants and our customers," Feld said. Ringling Bros. said its shows "will continue to feature other extraordinary animal performers, including tigers, lions, horses, dogs and camels." Its full cast is between 250 and 300 people. Between three performing units, the circus visits about 115 cities each year. Ringling Bros. website lists the next performance as Allentown, Pennsylvania, in April. Tickets are $17. --CNN's Chuck Johnston contributed to this report.